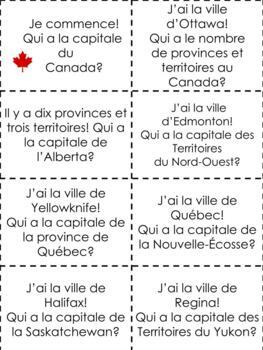 An oral communication chain activity I created for use with my Grade 4 Extended French class (although it can be used by Immersion or Core French classes as well.) 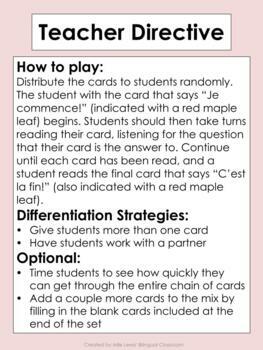 This activity is very simple to play and students love it! 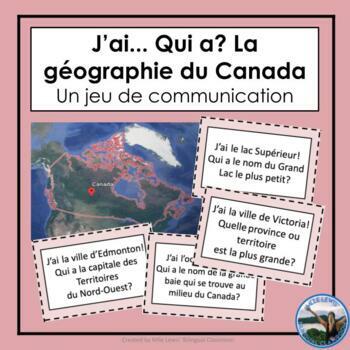 It encourages students to practice listening and communicating in French, while teaching them important information about the provinces and territories in Canada (integrating Ontario's Grade 4 Social Studies curriculum). To play: the student with the first card begins, and other students must listen for a question that fits with their answer, until each card has been read. This set includes a card for up to 32 students, with blank cards to create more questions if needed! To use this set with a class with fewer students, I will typically give a couple students multiple cards.